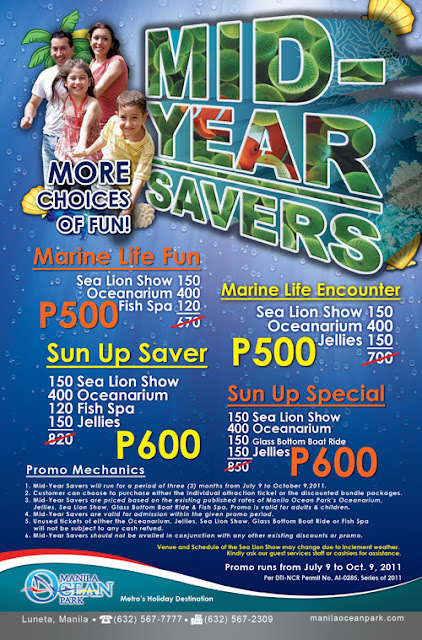 Sharing with you another promo from Manila Ocean Park, Mid-Year Savers. 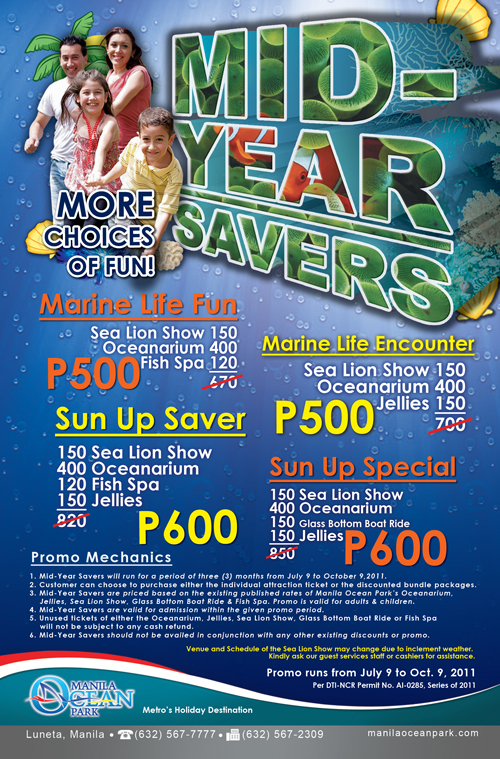 Now families and friends can enjoy a package of 3 to 4 attractions with savings up to Php170 to Php250. Attractions include Sea Lion Show, Oceanarium, Fish Spa, Jellies and Glass Bottom Boat Ride. This promo will run from July 9 to October 9, 2011.